No, it isn't just you. 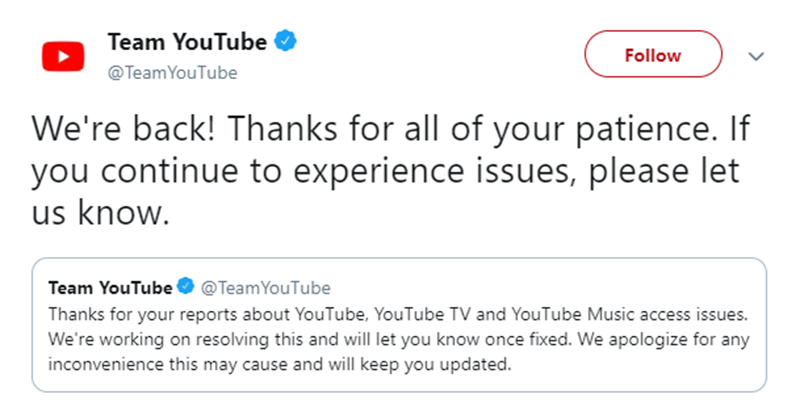 YouTube is down worldwide! Home / news / services / YouTube / No, it isn't just you. YouTube is down worldwide! An hour after YouTube confirmed access issues in its services, the video streaming site is working again. There is no official statement yet, however, on the cause of the service disruption issues. 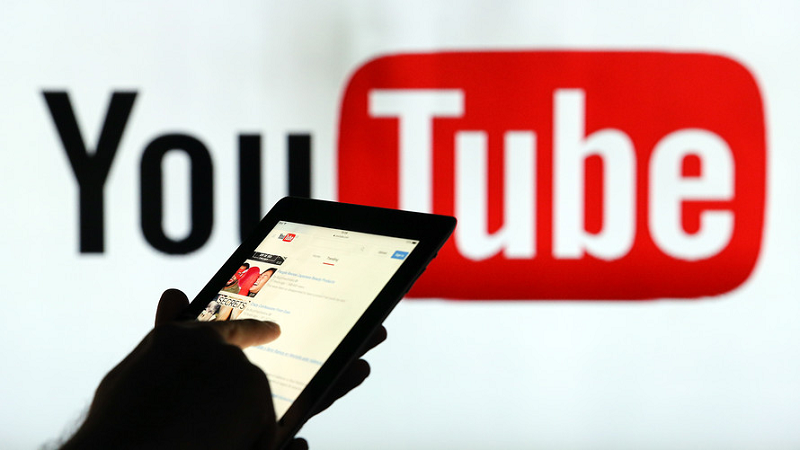 Earlier this morning, thousands of users were not able to access YouTube, both the website and the mobile app. Filipinos were not the only ones having problem accessing YouTube as a lot of users from abroad commented in downdetector.com. Based on the comments, aside from the Philippines, YouTube was also down in the United Kingdom, Canada, Spain, Antarctica, the USA, Greece, to name a few. Safe to say its whole system is not working. The news made it to Twitter, with a trending #YouTubeDOWN. It was at around 10 am, Philippine time, when its official Twitter account informed users that it was already fixing its system.